JOHANNESBURG (AP) – Prosecutors and lawyers for Oscar Pistorius have one last chance to convince a South African judge when they present closing arguments this week in the murder trial of the once-celebrated athlete who fatally shot his girlfriend, Reeva Steenkamp, through a toilet cubicle door in his home. On Thursday and Friday, both sides will summarize their versions of the shooting to Thokozile Masipa, the red-robed judge who will determine the fate of the double-amputee Olympic runner. Masipa has sat impassively through most proceedings since the globally televised trial began five months ago in a Pretoria courthouse, but legal experts say she may now, in this final stage, reveal insights into her thinking about the sensational case. Masipa can interrogate prosecutor Gerrie Nel and chief defense lawyer Barry Roux on their explanations for the killing and evidence in the court record, which amounts to thousands of pages. The prosecution says Pistorius, 27, intentionally shot 29-year-old Steenkamp multiple times before dawn on Feb. 14, 2013 in a fit of anger after a fight. The defense counters that he fired by mistake, fearing for his life after thinking an intruder was in the toilet cubicle and Steenkamp was in the bedroom. Masipa has maintained an air of neutrality while overlooking the courtroom from her chair on a dais through weeks of testimony by dozens of witnesses. Because South Africa has no trial by jury, Masipa will decide with the help of two legal assistants if Pistorius committed murder, is guilty of a negligent killing, or if he made a tragic error and should be acquitted. The runner faces 25 years to life in prison if convicted of premeditated murder, and also would be sent to prison for years if guilty of murder without premeditation or culpable homicide. He faces three separate firearm charges, and pleaded not guilty to all four counts. The prosecution has accused Pistorius of being a hot-headed egotist who carried a gun everywhere he went, and alleges he twice shot a firearm in public before the Valentine’s Day killing. Pistorius’ defense has portrayed him as mentally fragile, a disabled man who lived in fear of crime and who was terrified when he stood on just his stumps in the dark and fired four shots into the toilet cubicle door. Before he killed Steenkamp, Pistorius was praised worldwide as a symbol of the triumph of determination over adversity, and he made history by running on his carbon-fiber running blades at the Olympics in 2012. Trial witnesses included Pistorius’ neighbors, friends, an ex-girlfriend, his agent and his physician, as well as a long list of forensic and ballistic specialists. At times, Pistorius vomited, wailed and sobbed in the courtroom, and a psychiatrist testified he was suffering from an anxiety disorder when he shot Steenkamp. 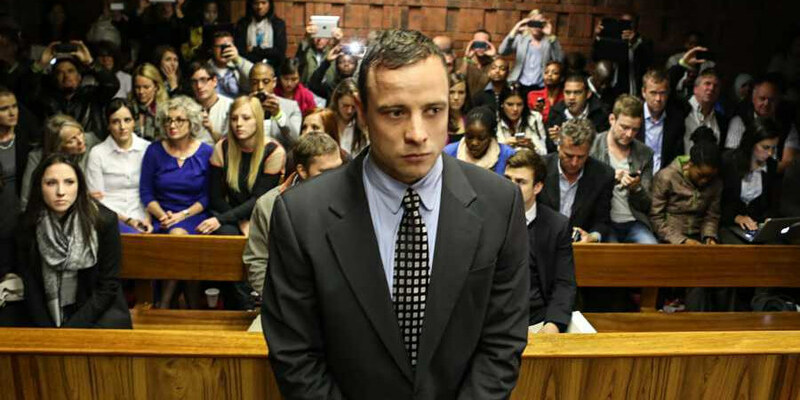 The trial was postponed for a month while Pistorius was examined at a state mental facility. Masipa will adjourn the trial after arguments to consider her judgment, a delay that could be a week or over a month, according to various analysts. They say the burden is on the prosecution to leave no reasonable doubt in Masipa’s mind that Pistorius was intent on killing when he opened fire. Nel and Roux will have to summarize weeks of sometimes complex testimony into a convincing final explanation lasting just a few hours, according to former prosecutor Welch.